Looking for commercial real estate solutions in Fremont, California? The Ivy Group is the premier real estate company with Market Experience, Expertise and Execution. Our team of licensed agents is equipped with in-depth knowledge and local market intelligence to provide comprehensive commercial real estate solutions to your real estate needs. We have advised clients across private and public sectors, including investors, municipalities, advanced manufacturing, internet of things (IoT), green technology, innovation districts, etc. Why choose Fremont, CA? Low unemployment, resurgence in manufacturer re-shoring and positive investor confidence have resulted in strong demand for commercial real estate in the Fremont Innovation District. This trend began in 2012 and will continue in 2015 and beyond. Fremont "combines world class design and a quality public realm for a 21st century workplace". Diverse and educated with 49% adults holding a Bachelors, Graduate or Professional degree. Approximate size, 93 square miles. 1,200+ innovative-based technology firms such as nanotechnology, medical device, advanced materials and digital production. Received over $1 billion of venture capital in recent years. Recognized in Silicon Valley's top five for patent awards. National leader in advanced manufacturing. 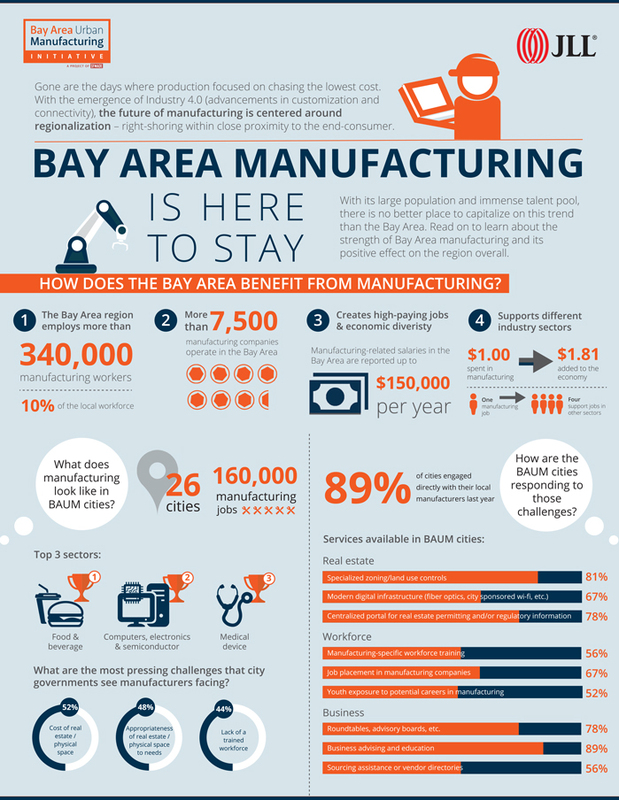 R&D/manufacturing is 25% of City of Fremont employment. 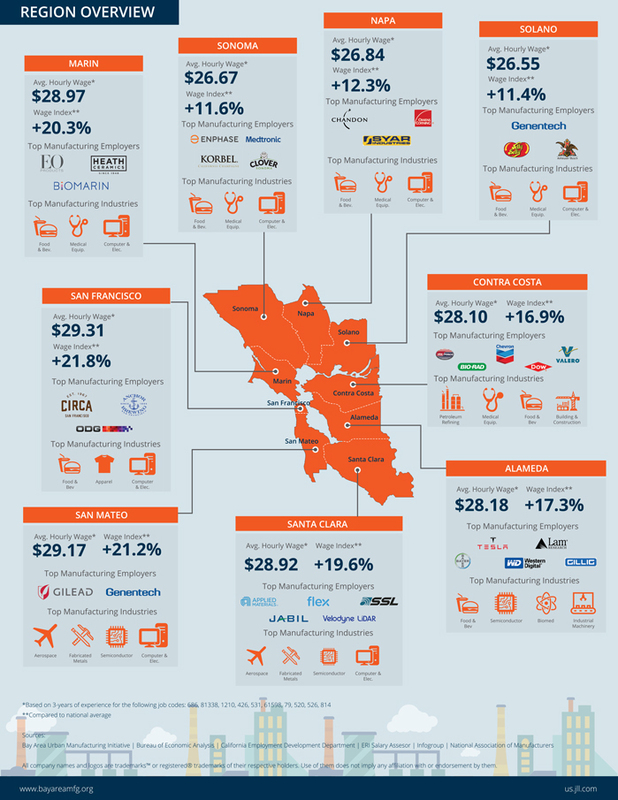 40 million square feet of industrial space; 64% of R&D in the East Bay Area. Strong cluster of biomedical manufacturing companies. Ranks 2nd Best Run City in America List. Voted the 2nd Most Inventive City in America by Newsweek with 2,200 patents in 2010. Ranks #1 in technology startups :: 21 per 100,000 residents (OpenForum 10/3/12). Leads Silicon Valley in closing the wage gap with women earning 97% of men's salary. Ranks among America's Sharpest and Smartest Cities (Reader's Digest, October 2012). 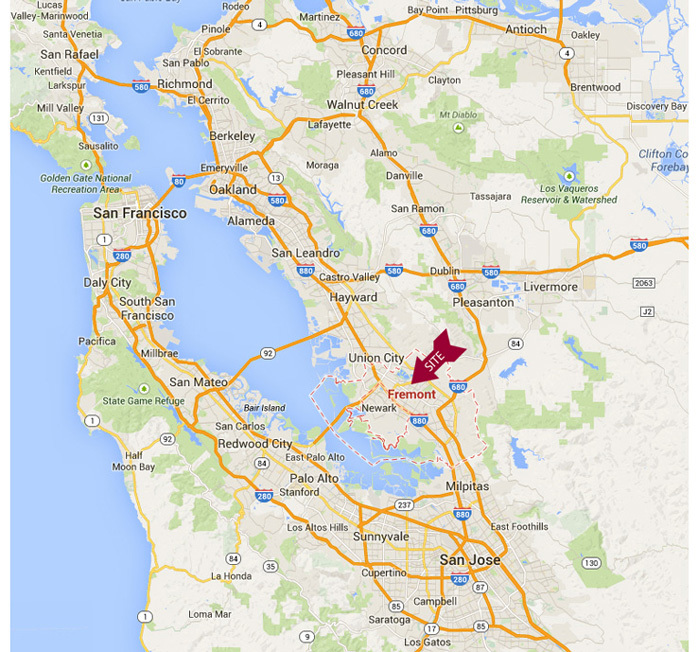 Fremont, California is the 4th largest city in the Bay Area, 15th largest in the great state of California. The city is conveniently located along the highway 680 and 880 corridors, and enjoys easy access to San Francisco/Oakland/San Jose international airports as well as the port of Oakland. Create downtown sense of place. Transition from 20th to 21st century work environment. The Ivy Group, headquartered in Fremont, CA, is the leading commercial and investment real estate advisor in the areas of acquisition, disposition, leasing, partnership formations, portfolio/asset management and value-added services. We offer best-in-class solutions by leveraging innovation with market conditions to tactically identify the best return on investments. The Ivy Group specializes in office, retail, medical, multi-family, hotel/motel, industrial, warehouse, self storage and vacant land. By offering a wide range of comprehensive professional expertise including buyer/seller negotiations, landlord/tenant representations, portfolio management, site selection, investment analysis, strategic consulting and risk management, we help clients balance long-term strategies with short-term expediency to create, grow and maintain value. Visit our website to learn more about our services.